In Courtroom 1 of the Supreme Court on Monday 23 July 2012 is the further hearing after the ECJ reference of British Airways plc v Williams & Ors, which raised the issue of pilots’ entitlement to pay supplements under the Aviation Directive. Links to the Supreme Court’s original judgment and press summary are available here. From Monday 23 until Tuesday 24 July 2012 is the appeal of The Catholic Child Welfare Society & Ors v Various claimants & Ors, to be heard by L Phillips, L Hale, L Kerr, L Wilson, and L Carnwath. In this matter 170 former pupils brought claims alleging widespread physical and sexual abuse by teachers and staff at a faith school. It is for the Supreme Court to determine whether the defendant Institute of the Brothers of the Christian Schools are vicariously liable for acts of abuse committed by its members. 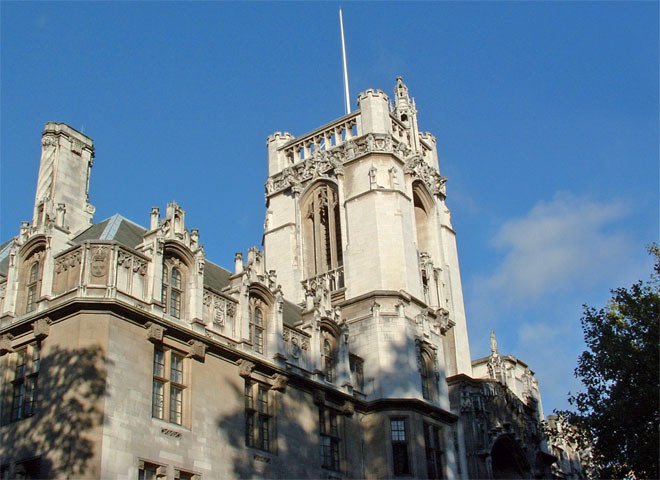 Case details are available here, and for a more in-depth look the UKSC blog case preview is here. On Wednesday 25 July 2012 the Supreme Court was listed to hear Jones (by Caldwell) v First Tier Tribunal and Criminal Injuries Compensation Authority, but the matter has been adjourned. The following judgments will be handed down by the Supreme Court on Wednesday 25 July 2012: Perry & Ors v SOCA, Perry & Ors (No. 2) v SOCA, T (Children), Hewage v Grampian Health Board, RT (Zimbabwe) & Ors v Secretary of State for the Home Department, KM v Secretary of State for the Home Department and Solihull Metropolitan Borough Council v Hickin. There are no sittings or hand-downs scheduled in the Privy Council this week. Al-Sirri v Secretary of State for the Home Department, heard 14 – 15 May 2012. DD (Afghanistan) v Secretary of State for the Home Department, heard 16 – 17 May 2012. Rubin & Anor v Eurofinance SA & Ors, heard 21 – 24 May 2012. SerVaas Incorporated v Rafidian Bank & Ors, heard 28 – 29 May 2012. R v Varma, heard 27 – 28 June 2012. Secretary of State for Foreign and Commonwealth Affairs and anor v Yunus Rahmatullah, heard 2 – 3 July 2012. BCL Old Co Ltd & Ors v BASF plc & Ors, heard 9 – 10 July 2012. Walton v The Scottish Ministers, heard 9 – 10 July 2012. Birmingham City Council v Abdulla & Ors, heard 11 July 2012. 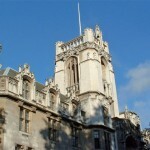 Day & Anor v Hosebay Ltd and Howard de Walden Estates Ltd v Lexgorge Ltd, heard 16 – 18 July 2012. Leave a reply on "In the Supreme Court w/c 23rd July 2012"